The house is quiet. I’m reading a really good book. In fact, I’m buried in it. As I read, I come upon a sentence that sends an Oh! to a little niche in my brain. 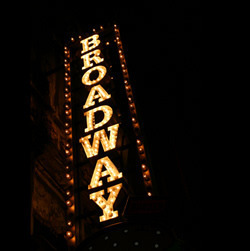 There the sentence lights up like a Broadway marquee. Boom! It’s worthy of having the page corner folded down. I may want to read that sentence again. Later. You never know. Within a book’s pages, skillfully chosen words blend into sentences designed to create an image, shed light on a character, hone an idea or heighten meaning. As I read Eleanor Morse’s moving story, White Dog Fell from the Sky, I turned down the corner on several pages. Isaac heard a rumble in the distance, and as he emerged from the bush he was enveloped in the dust of a three-ton truck traveling south in the direction of Lobatse, sliding through the sand like a wounded beast. So he left it and went to his room and thrashed under mosquito netting until the night was used up and its scraps had smudged into dark shadows under his eyes. He knew nothing about depression, had never felt that hopeless, subbasement mildew of spirit. The sun went down. Deep purple swept over blue, followed by purple charcoal, then black. The night grew cold. I like and appreciate sentences in a story that resonate and deepen the experience. How about you, in your current reading? Are there any sentences that really light up? This entry was posted in Authors, Books, Creativity, fiction writing, novel, Reading, Writing and tagged Alice Mendelssohn, analogy, apartheid, Botswana, creating an image, description, Eleanor Morse, great sentences, heightening meaning, honing and idea, Ian Henry, imagery, Isaac Muthethe, shedding light on a character, South Africa, White Dog Fell from the Sky. Bookmark the permalink. I LOVE the way you write. It just flows! Thanks for the gift!! Thank you, Cyndy! So glad you enjoyed. If you haven’t read White Dog, I think you’d like it.The setting and the times lured me to it. The characters made it personal. Really like the sentences you chose. And as always, you paint pictures as well. Thank you, Dolores. There are more exquisite sentences and passages in the book. Could only choose a few for the post. Glad you enjoyed these. Thank you, Helen. So glad you stopped by.